Ever have a storyteller who has great storytelling skills, yet can’t seem to connect with the audience? This happens on the TV show, The Voice. A singer can execute a technically perfect performance and have zero judges turn around for them. The judges often inform these vocalists that they failed to connect with the song and convey that to the audience. The same goes for your storytellers. Ideally, they will have excellent storytelling skills and connect relationally with the kids But of the two, the ability to connect is more important. A flawless Bible story isn’t what connects kids to the message; it’s a kid’s relationship with the storyteller. The most important thing a storyteller can do is be authentic with how their own story connects to the Bible story. This authenticity allows them to become more vulnerable with how they share the Bible story and connect with their audience. And it’s through that vulnerability that kids will pay closer attention, knowing they can trust that what the storyteller is sharing is true. 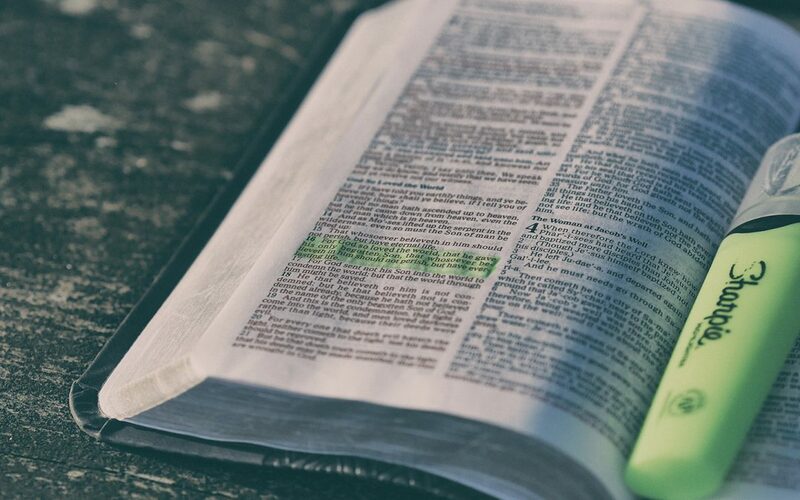 To help storytellers make this important connection I suggest they practice immersing themselves in the Bible story. The best thing a storyteller can do is be authentic with how their own story connects to the Bible. What do you learn about God/Jesus through this story? The story, Proverb, Psalm, or principle you are sharing was placed in Scripture for a reason. What does God want the Church to learn about Himself through the passage? Now make it personal. When you read the Bible, you bring everything you’ve experienced up until that point in your life. Figure out what is God wanting to teach you. Just because you’ve read the David and Goliath story dozens of times already doesn’t mean you have nothing left to learn. You are a different person each time you read a passage of Scripture because your personal story develops over time and so do you. Allow yourself to read these stories like you’re reading them for the very first time. Of the characters in the story, who do you connect with most? Why? Don’t just think about the main characters. Picture yourself as a bystander listening to Jesus teach or watching Him heal. You might see yourself as the one being rescued from Egypt and walking across the Red Sea on dry ground more than Moses leading the people. The more you can place yourself in the Bible story, the easier it will be for you to connect with the message God is telling through the story. How does this story intersect with your life now or in the past? It could be that the story doesn’t connect with you at this moment. Think back to a time when it did or how it might in the future. Or think about your friends and family. How have you seen something similar in their lives? How did they respond? What did they learn from the experience? If someone was using this story in a sermon, what would you want them to say? Try and think objectively about the Bible story as if someone was telling it to you. What would they emphasise if you were the one needing to hear that message? What can you learn from the Bottom Line of the Bible story? How can you personally live differently as a result of hearing it? How can you use that to inform how you’ll communicate this story to kids? Be careful not to share too much of your own story. These are kids, and not all details are appropriate for them. However, you can use how this story intersects your life—when appropriate—to speak to them. What parts of the story get you excited or scared or make you feel loved or forgiven? Whatever it is, use those emotions as the motivation for how you tell those parts of the Bible story. The Bible is the primary way we encounter God. We have a responsibility to share those stories with care and excellence, but also with honesty and authenticity. We get to bring these stories to life by how we communicate. And that communication starts with connecting our story to God’s. To help make this easier on your storytellers, I’ve created a simple worksheet with these questions. Fill out the form below with your Name and Email Address to download it. and you’ll be sent a link to download this worksheet for your storytellers.